Terrible hail and May snow! We have an adage here in Colorado. 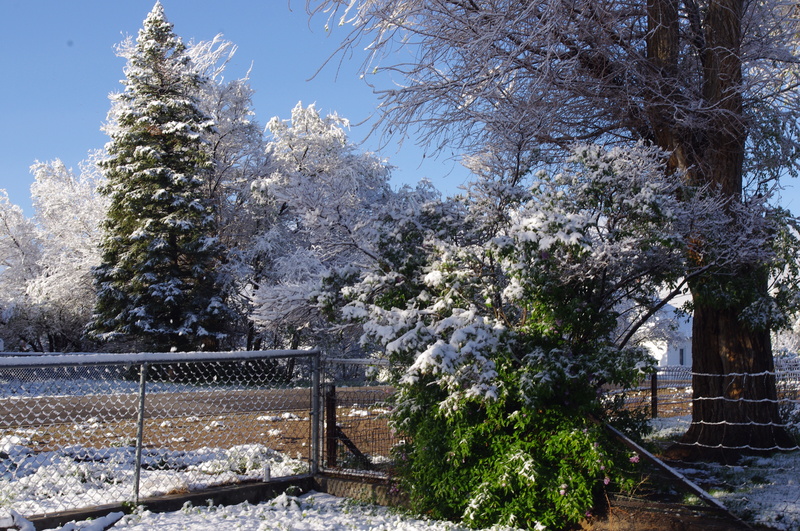 We say it is safe to plant outside after Mother’s Day, but this year is obviously different! Last Thursday we got stuck in the WORST HAIL STORM I HAVE EVER EXPERIENCED! Driving on I-25 south of Pueblo we got hit with a deluge, that cracked our windshield and trashed our van. 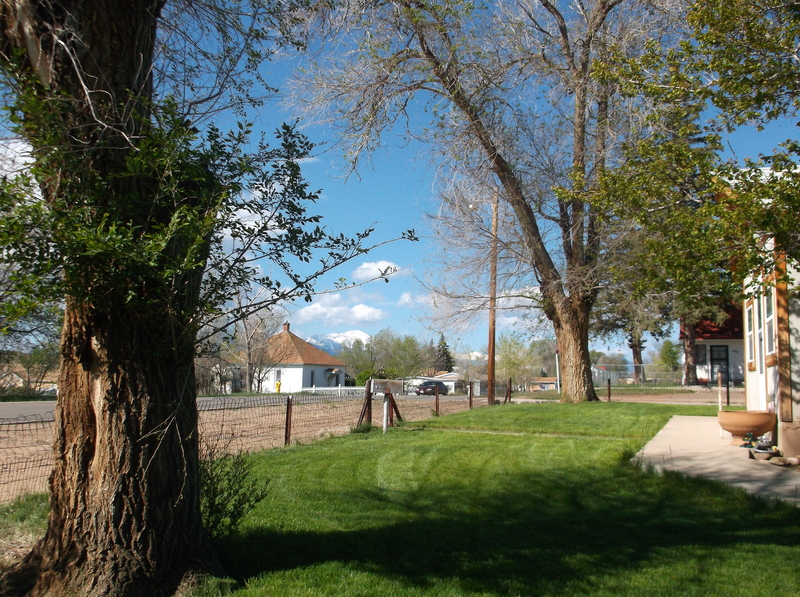 On a recent clear day, I could just catch a glimpse of the Spanish Peaks from our front yard in Walsenburg. This is what I saw this morning! Poor trees! They were just getting into blooming mode and certainly weren’t ready for this! I guess that’s what happens when you bring in trees that aren’t adapted to this area of the country. 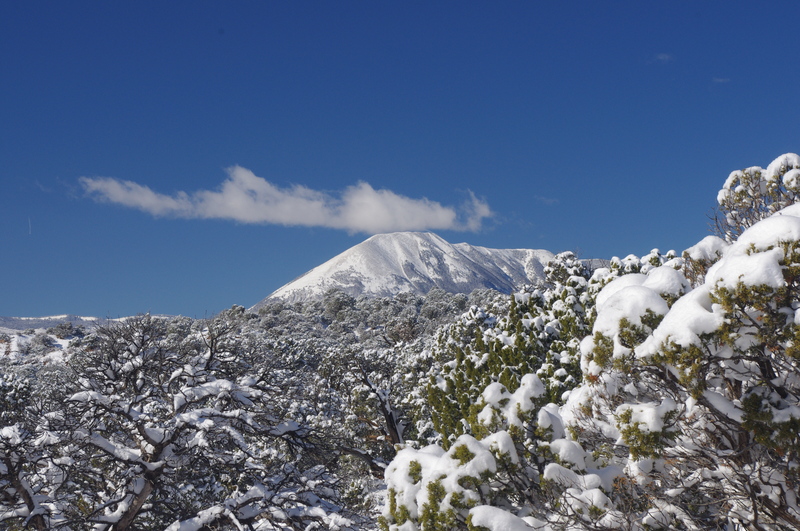 Up at Navajo we will be living in a native Pinon-juniper woodland. Those trees have adapted over the centuries to handle snow in any season. Can you tell I was raised by native plants Nazi Jack L. Carter, author of Trees and Shrubs of Colorado and Trees and Shrubs of New Mexico! Beautiful pictures. 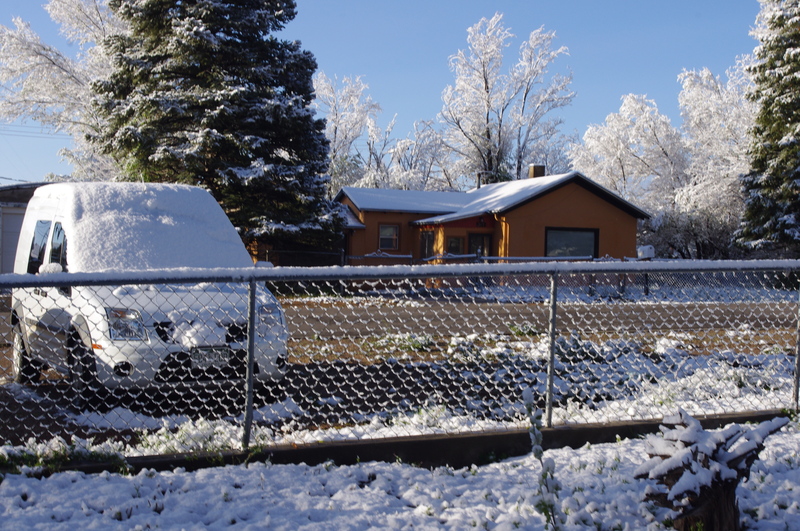 My sister lives outside of Grand Junction and was lamenting the weather yesterday. I hope you get some warm weather soon! Yes! The 70s are due this week!